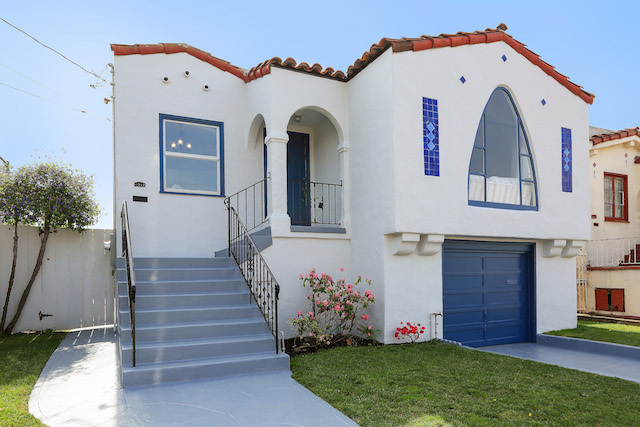 1912 Fairview is a gorgeous Mediterranean-style bungalow built in 1937 in a great Berkeley location. The 1,438 square foot house sits on a 4,000 square foot lot surrounded by a neighboring park. It features 3 bedrooms and 2.5 bathrooms, with a full-sized garage and extra large multi-purpose “plus area” basement. Conveniently located off of Adeline and Ashby, this Berkeley neighborhood is an annexed area that joins with Oakland and Emeryville. Family friendly, the home offers immediate access to a neighborhood park and is a few short blocks from Ashby BART and Highway 580, offering a central location with plenty of options for commuters. Weekly farmers markets, weekend swap meets and lots of small local eateries and shops can be found all around this eclectic East Bay neighborhood.